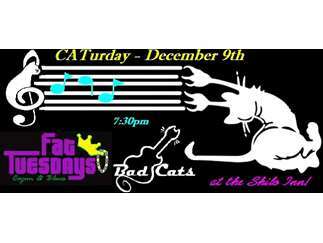 LIVE music - The Bad Cats at Fat Tuesdays! Cajun & Southern cookin' served up with a side of Blues, Soul, & Rock 'n' Roll! Located in the Shilo Inn, dancing, full bar, and a touch of Mardi Gras..."We've got beads!"